We just learned about the 14 tallest mountain peaks, that are all over 8,000 KM above sea level. Some of these mountain peaks are part of the same mountain area, which is called a mountain range. 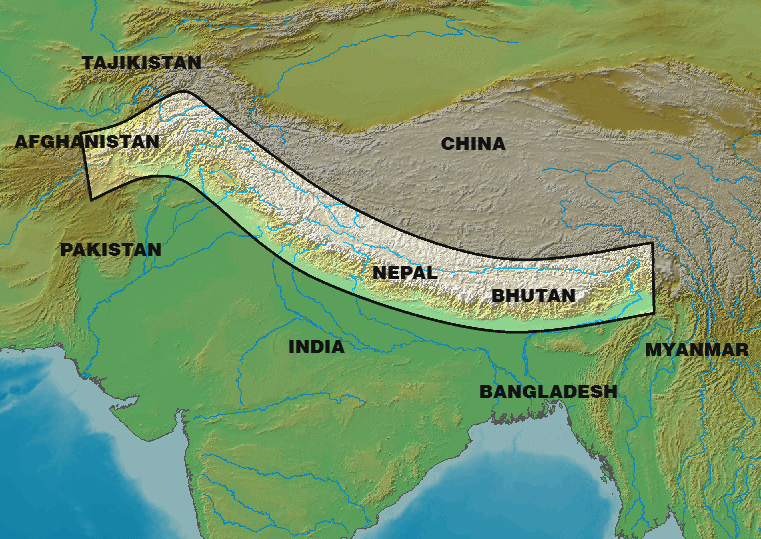 The tallest mountain range in the world is the Himalayas, which means Abode of Snow. Abode means house. It is the mountain with Mt. Everest, the highest peak. There are over a hundred mountains on this range, and hundreds of lakes.